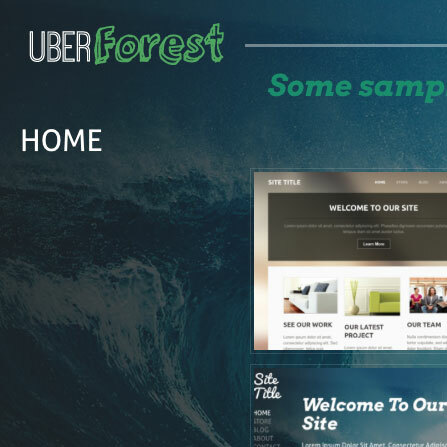 UberForest.com - Build your own website quickly and easily! Our editing / designing platform is made to be simple! Don't worry about breaking anything, we can see what you've done and help you work backwards if there is an issue. If you want to add a gallery just click and drag your files from the computer over to the upload zone on the page... then watch the magic happen! Try our demo and see for yourself. SEO settings can be the difference between getting thousands if not millions of users! Luckily for our users, we've create fast, HTML5, SEO friendly sites that will help you get ranked quickly! 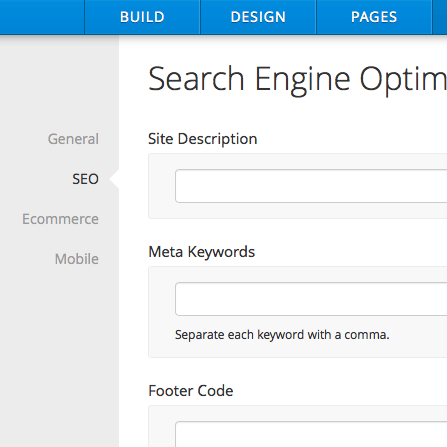 Just enter in your keywords and site descriptions and you'll be ready to go! Also, Google loves mobile sites, all our sites come mobile and table ready. Take a look at your settings in our Free DEMO today. Once you've picked your design, added content, galleries, blogs and other pages, then update your SEO settings, the last step is going live! All you need to do is publish and you are live! Our team will help you get your www.domain.com pointed so your branding remains the same throughout. It's that easy. Step 2 Point and Click Design! 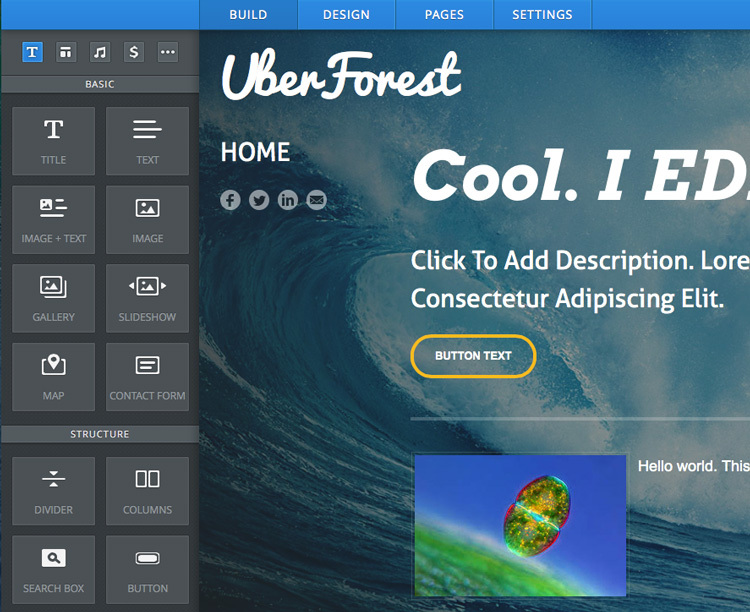 UberForest is incredibly especially extremely beautiful and fully responsive.  Your new website will be ready for the 2.6 billion users on mobile android and apple devices. All you need to do is add the content! Our simple point and click management system allows you or others in your company to edit, update, and add new content as you need. No limit! We're here if you need us. Talk to an actual person when you need! Your site will be using the latest in web technology. We have you covered on the search engine front! You can even choose what pages you want in Google. Make your site look and match your current branding. No need to contact a "web person" to create sliding galleries for you. Just click and drag images you want! 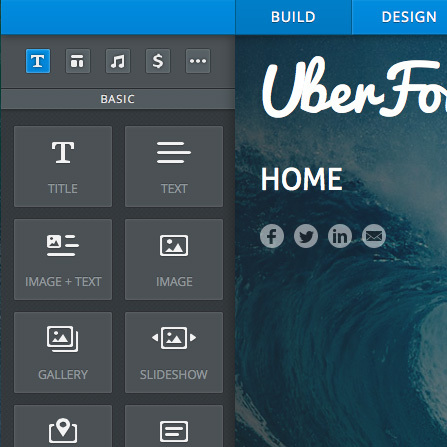 Your site will be ready for "Retina" displays. Easily add buttons and contact forms as you need. Have your images automatically enlarge for your customers on a click! No coding needed. You can get started as low as $14.95/MTH! This includes UNLMITED pages, HOSTING fees, ability to blog, unlimited forums, and even a store front to sell items! Need to talk with someone? Give us a call @616-466-4650 or email with any questions you have! Are you a Non-Profit? We have special at-cost rates and templates just for you. Please contact us, we would love to help! Join the millions of users around the world that have already started building! We are here to help! Please give us a call during business hours or drop us a line if you need any assistance. We are here to help. Need us to jump on your computer to make things really easy? Visit JOIN.ME and "Start a meeting". From there you will be given a meeting number to share with our staff. This will allow you to screen your share with them and help you along. During normal business hours, you may find one of the team members Online. Don't hesitate to bump us a chat! We would love to help you. Building a website in this day and age shouldn't be hard! That's why UberForest is making it easy. 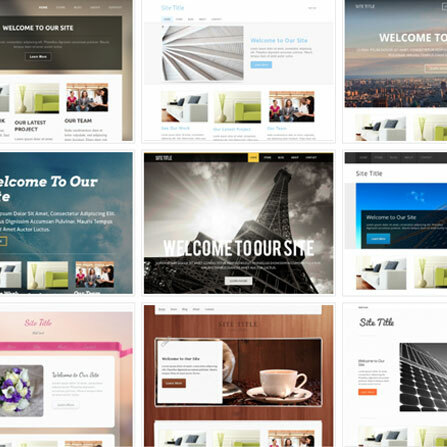 You just point and click to start building your website. 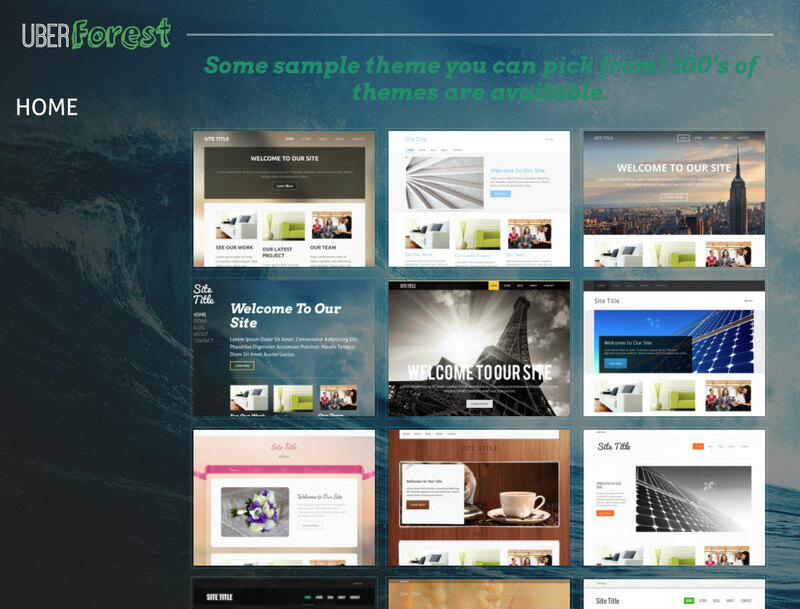 You can start from scratch or pick from one of our many beautifully designed themes. 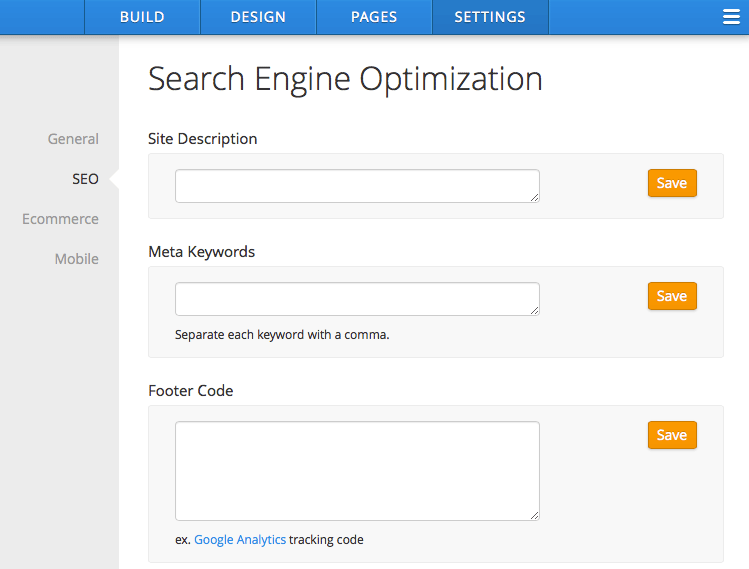 You can even set your own SEO options and tracking capabilities. Don't depend on your "web person" anymore. You now have the freedom to build and create the website that fits you! © Copyright 2014 UberForest.com. All Rights Reserved.